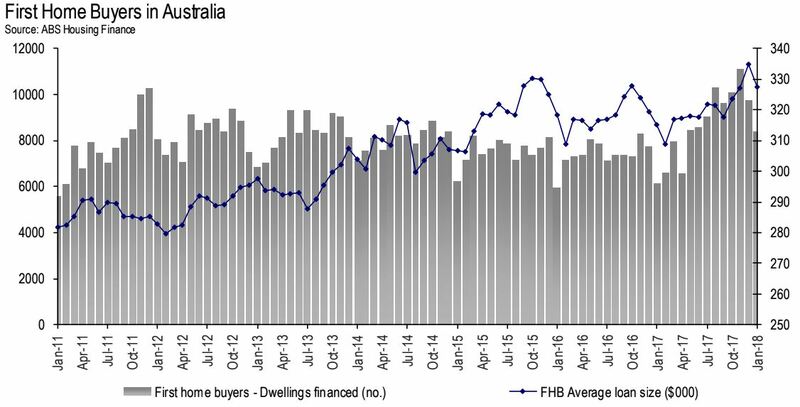 The number of Australian home loan approvals for owner-occupiers fell in January as first home buyers took up the slack. First home buyers accounted for 18 per cent of home mortgage loans in January, the highest monthly share in over five years. 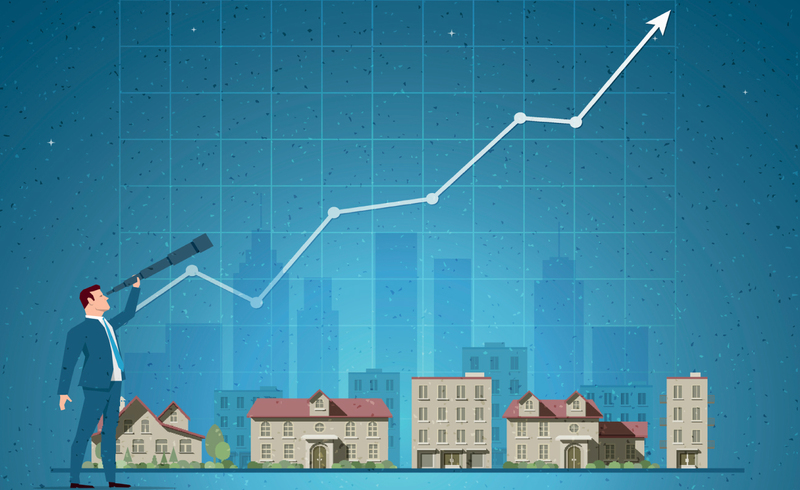 Housing figures released on Tuesday by the Australian Bureau of Statistics showed that approvals fell a seasonally adjusted 1.1 per cent from December. Economists surveyed ahead of the announcement had expected a 0.2 per cent fall over the month. The value of new home loan approvals for owner-occupiers was up 0.5 per cent – the fourth reported increase in the past five months – while the value of investor loans was up 1.1 per cent. The value of lending to investors has actually declined 12.1 per cent from a year ago, but remains high despite APRA’s interventions on interest-only investors. The percentage of first home buyers as a percentage of total owner-occupied housing finance commitments rose to 18.0 per cent in January 2018 from 17.9 per cent in December 2017. The HIA said that this is the highest monthly share in five years. “First Home Buyer participation has been rekindled by the welcome intervention of the NSW and Victoria governments in mid-2017,” HIA senior economist Shane Garrett said. Approvals for the construction of new homes had jumped 17.1 per cent in January, easily beating market forecasts of a five per cent increase. APRA released data today showing that of all new loans, the proportion of riskier, interest-only mortgages held by the four major banks fell to a new low of 15.53 per cent, down from 38.43 per cent in March 2017.